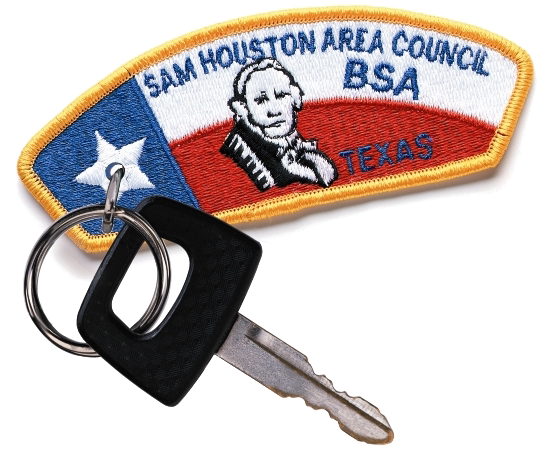 Help ensure the success of Scouting in the Sam Houston Area Council with meaningful gifts including company matching gifts, company volunteer grants or by donating cars, trucks, RVs, trailers, boats, motors, stocks, bonds, mutual funds, securities, uniforms, camping equipment and yes, even services. Amazon will donate 0.5% of the price of your eligible AmazonSmile purchases to Sam Houston Area Council, Boy Scouts of America whenever you shop on AmazonSmile. eBay Giving Works is a program that allows sellers to list items on eBay to benefit nonprofit organizations. Any eBay seller with an account in good standing can create an eBay Giving Works listing to benefit Sam Houston Area Council. Community Selling is a program in which a seller can sell items on eBay and donate from 10% to 100% of its final sale price to support Sam Houston Area Council. 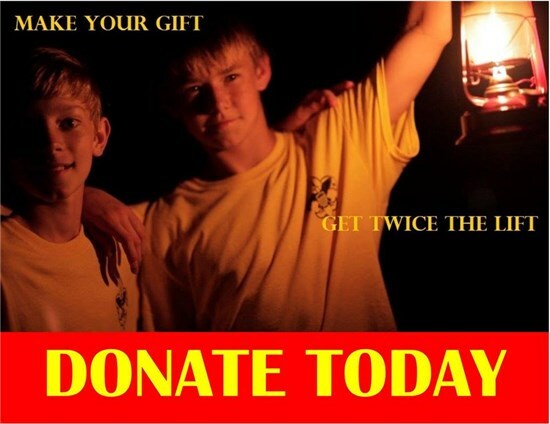 Matching Gifts: Many corporations match employee contributions made to the Boy Scouts. Some companies even make financial contributions for volunteering time to Scouting. Complete a Matching Gift form available from your employer. To donate a car, truck, RV, trailer, boat or motor to the Sam Houston Area Council, please visit One Car One Difference, found here. For more information about One Car One Difference, the Boy Scouts of America's Vehicle donation program, please click here. To donate stocks, bonds, mutual funds or securities, please call (713) 756-3370 or email travis.briner@scouting.org regarding your intent. Please see the instructions below for additional information. What are the procedures to donate stock to the Sam Houston Area Council? Contact Travis Briner at (713) 756-3370 for the Stock Gift Transfer Instructions Form and follow the three simple steps. To donate stock certificates, transfer the ownership of stock certificates to the Boy Scouts of America and mail the certificate to the Sam Houston Area Council, 2225 North Loop W, Houston, TX 77008. Please mark the envelope "personal and confidential, attn: Travis Briner. This will enable the council to see funds are properly credited. Contact Travis Briner at (713) 756-3370 for additional information. Can the Sam Houston Area Council accept the gift of mutual funds? Yes. It is a different procedure than with stocks. Please call Travis Briner (713-756-3370) to discuss details. 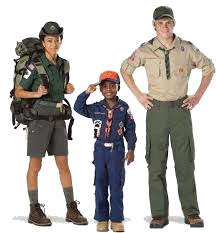 Donate new or gently used Scout uniforms by dropping them off at the Cockrell Scout Center (2225 North Loop West, Houston, Texas 77008) or at any local Scout Shop. Donate new or gently used camping gear (e.g., tents, stoves, sleeping bags/pads, Dutch ovens, boots, hiking backpacks, coolers) at the Cockrell Scout Center.